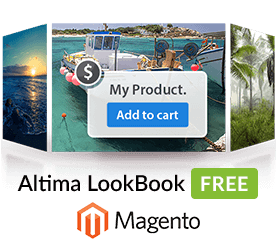 Magento 2 version of Altima Lookbook Pro. 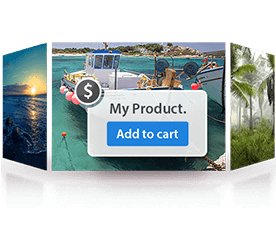 This Magento extension provides merchants with possibility to create lookbbooks - an interactive slider with multiple clickable tags-hotspost on every slide. Multi-domain licence - additional paid option, that support any domain domains running from one Magento installation. You need a licence to use Altima LookBook Professional Extension for Magento The licence is linked to domain name - one licence suppors with one production and one development domain (there will be a short text warning with dev domain). You can also purchase multi-domain version. That lets you to run any front-end domains as long as they are run from the same Magento installation. If you are buying multi-domain version, you should specify your main admin interface domains as domains (for Production and Development environments). Fix issue with multiple hotspots to the same product on the same slide. Added progressive slider load - new slides are loaded while user view already loaded slides. A useful for slider with significant number of slides, initial load time is reduced. Can be enabled and disabled in slider options. How do you are rate this product?